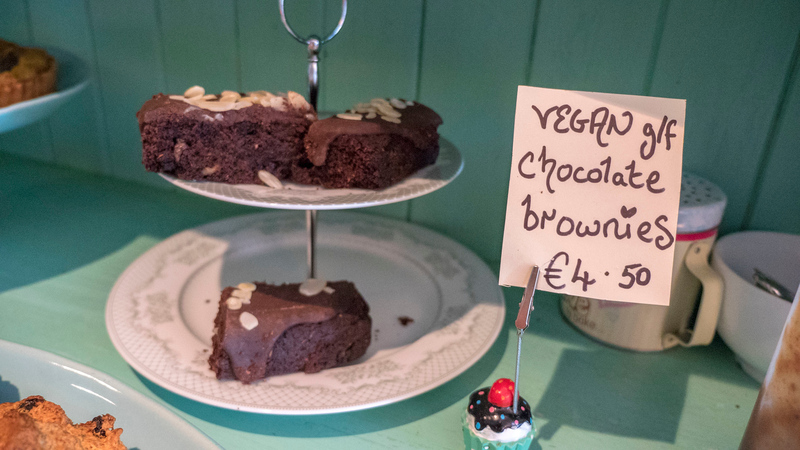 You won’t go hungry in Galway if you’re vegan! I wasn’t sure what to expect from Galway. 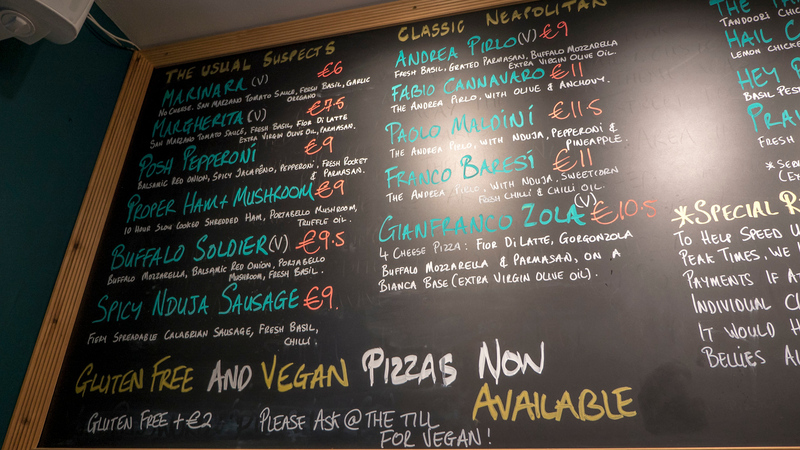 Before traveling to Ireland, I kept hearing about how un-vegan-friendly the country was. However, those initial misconceptions were quickly shattered after I ate so much delicious plant-based meals in Dublin, Belfast, and Derry. 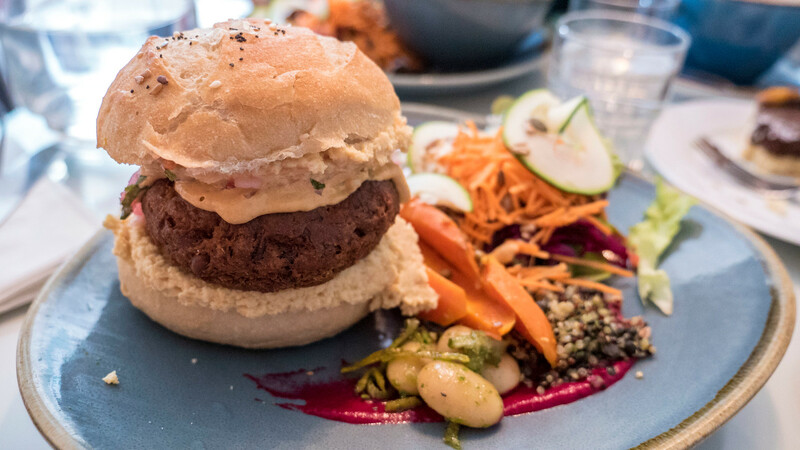 So, what was it like dining as a vegan in Galway? I was wowed by the choices! 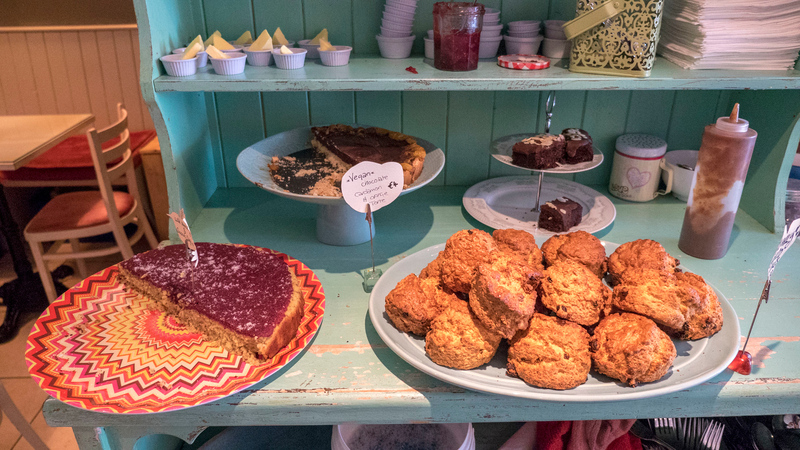 I was only in Galway for one day, although I managed to eat quite a bit of food. It’s for research purposes, right? Well, when you’re out exploring and walking around everywhere, you can work up quite the appetite. I had breakfast, lunch, and dinner in Galway. 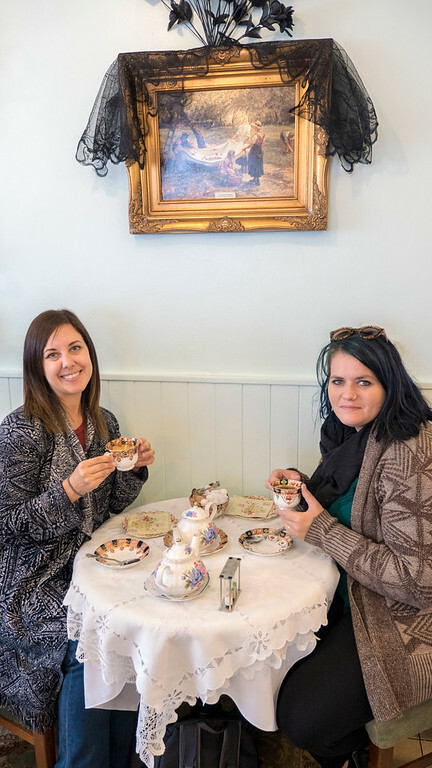 I also browsed a health food store with tons of vegan options and even went for afternoon tea. 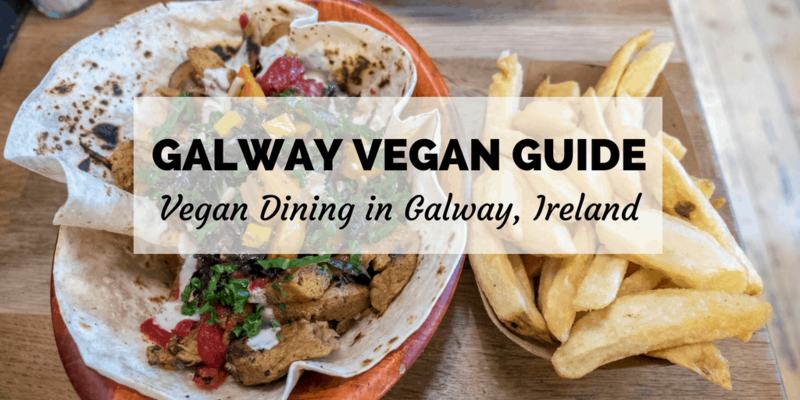 Without further ado, here’s my vegan Galway restaurant and dining guide for when you visit this vibrant and lovable city. 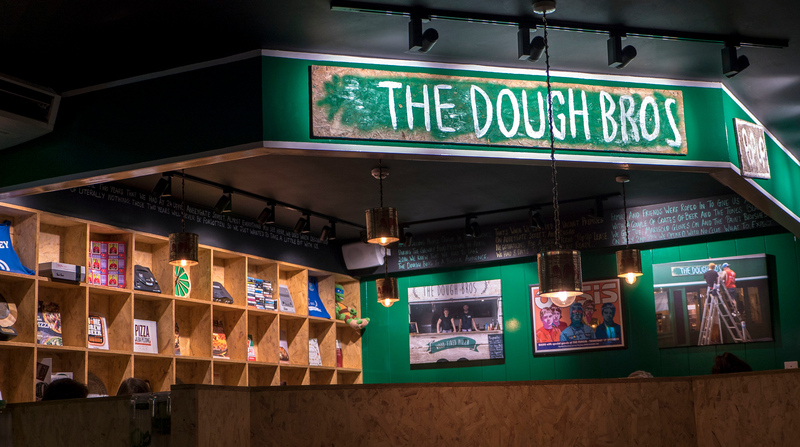 The Dough Bros is a well known and popular joint in Galway. 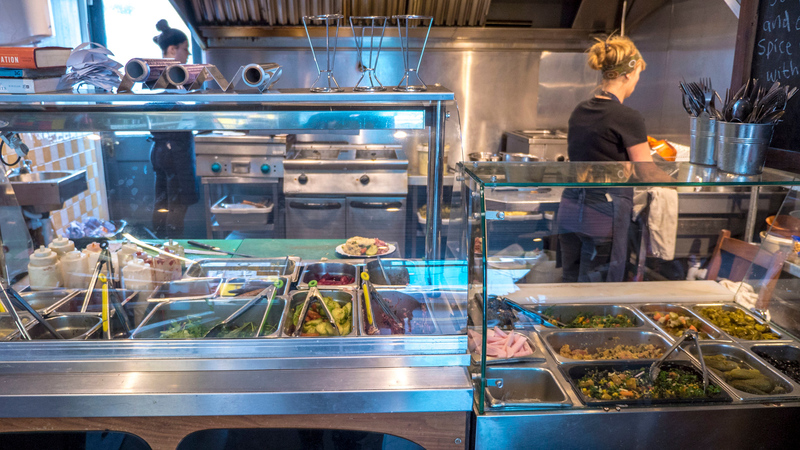 Starting in a food truck, they’re now serving up pies in a restaurant where the line-up filters out of the doorway at times. 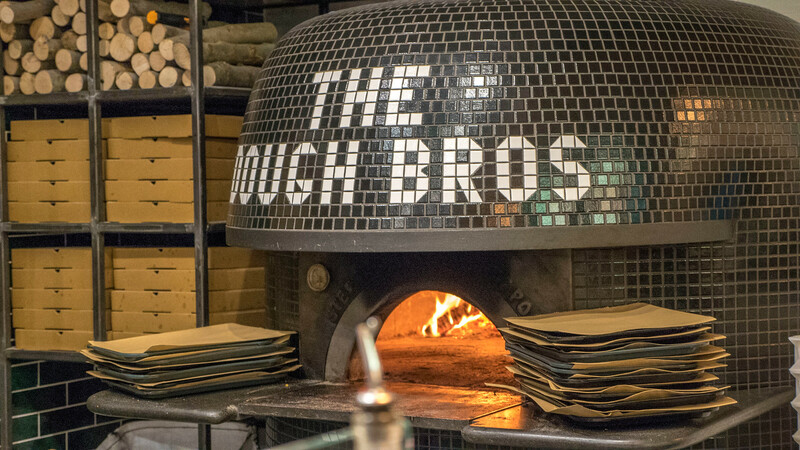 Trust me, pizza from the Dough Bros is well worth the wait. 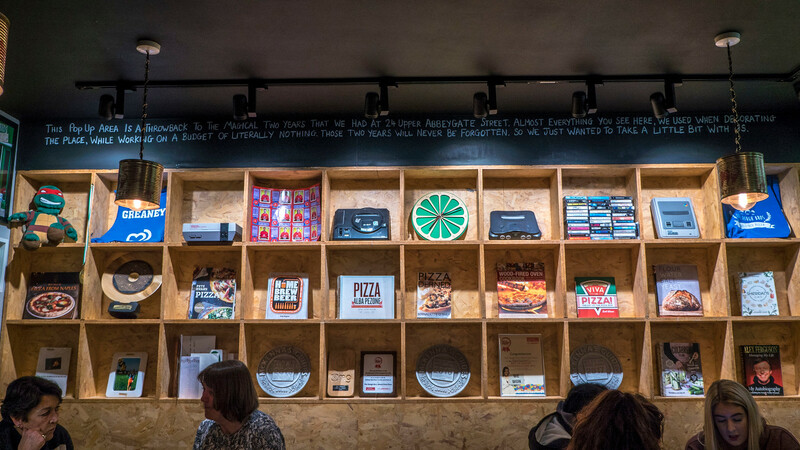 Besides, once you place your order, the pizzas are prepared very quickly. 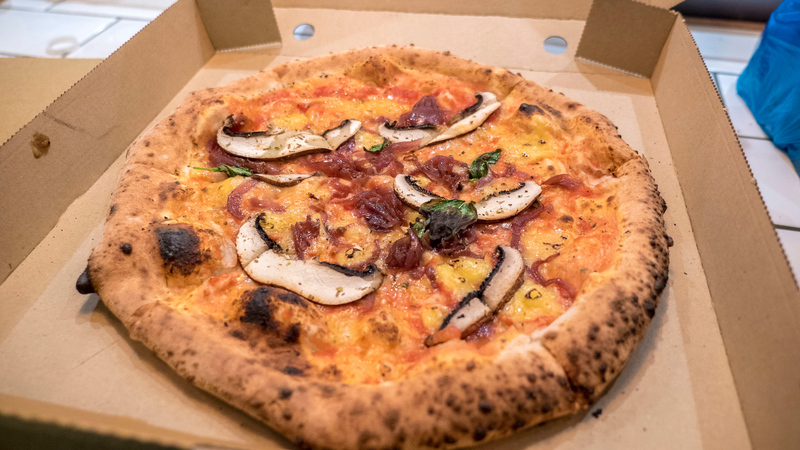 They don’t need much time in the traditional Italian wood-fired oven in order to cook to perfection. I fell in love with the restaurant decor as it stirred up some nostalgia. There are pictures of Nintendo favourites, Mario and Luigi (the original “Bros”) on the wall, along with a classic Nintendo Entertainment System on a shelf. One of the Teenage Mutant Ninja Turtles peers down from a shelving unit. Even if I wasn’t a massive pizza fan, I’d be won over purely by the paraphernalia from my childhood. But…who doesn’t love pizza? I ordered the Buffalo Soldier and I gobbled it up so quickly because it was so tasty. The dough was chewy and baked perfectly, and the toppings all worked wonderfully together on this vegan pizza. 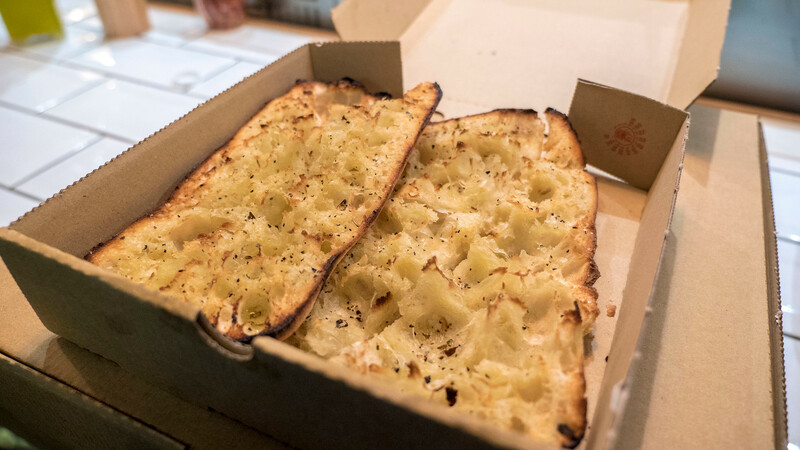 I also ordered some garlic bread, which can be difficult to find as a vegan option at times. 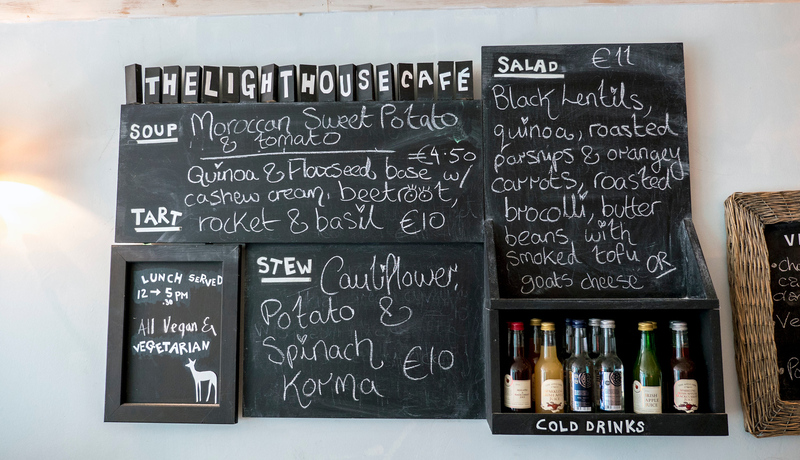 I highly recommend you stop here when planning your vegan Galway eats for the day. 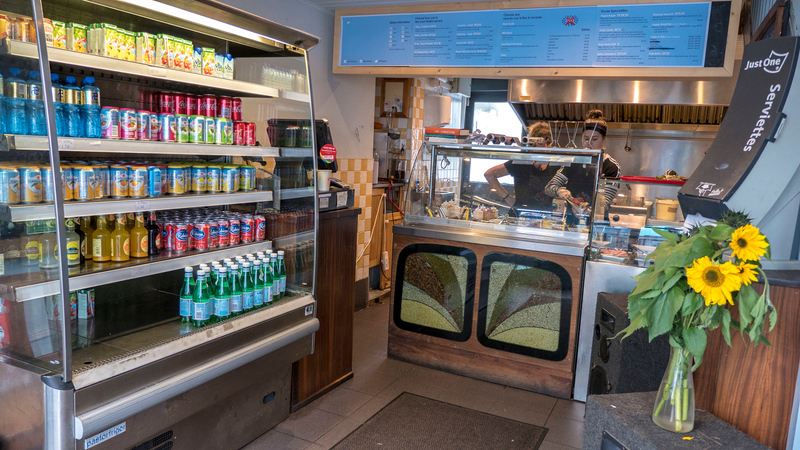 The Gourmet Offensive Falafel Bar, or TGO Falafel Bar for short, is a vegetarian fast food restaurant serving up falafel wraps, seitan shawarma, chips, and more. 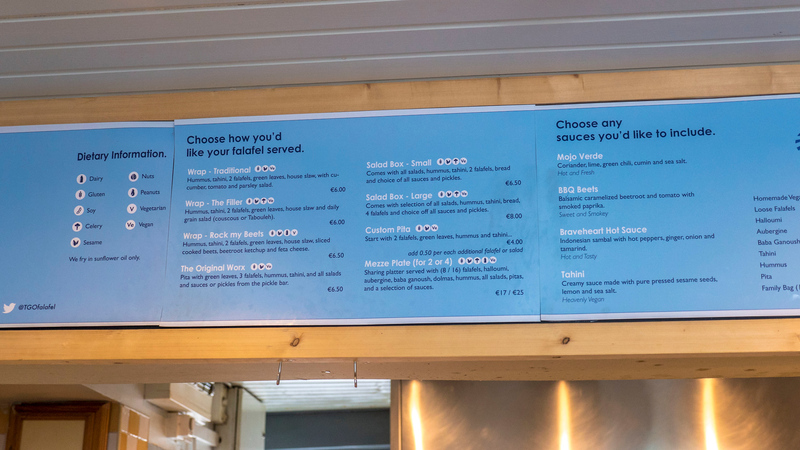 With the exception of adding cheese to some items, TGO Falafel Bar is primarily a vegan restaurant as there aren’t many animal products in the dishes. 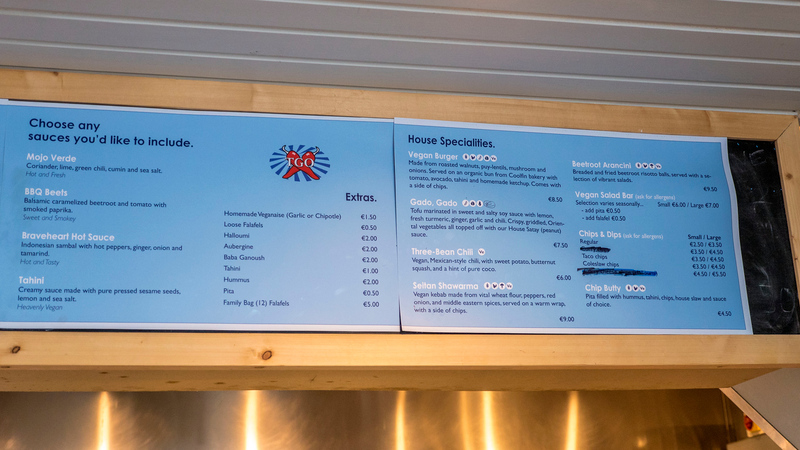 The menu board has the vegan items clearly marked, as well as all allergens. 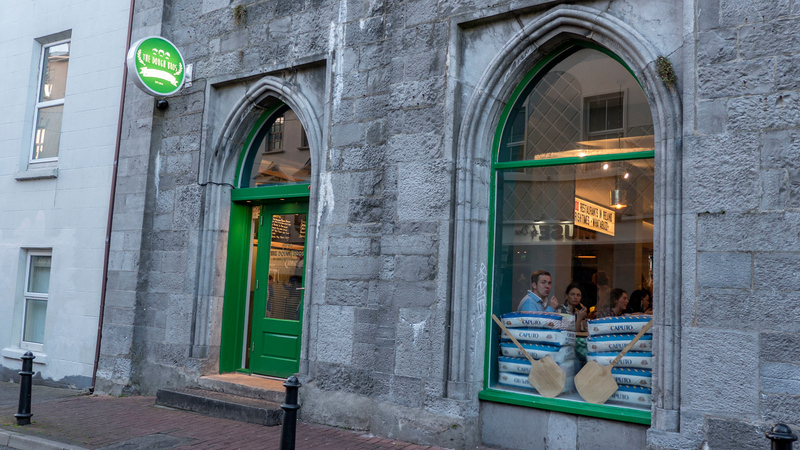 From their humble beginnings at a market stall, TGO Falafel Bar began serving at music festivals in Ireland, too. Now, they have their own restaurant featuring fresh and local ingredients. In the future, the owners have the dreams of maintaining their own farm to source their own produce. If you’re choosing a falafel, you have your choice of several varieties. Then, you choose your sauce from Mojo Verde, BBQ Bets, Braveheart Hot Sauce, or Tahini. I ordered the Seitan Shawarma because it’s not something I typically see on a vegetarian menu. Plus, seitan (aka wheat meat) is delicious! 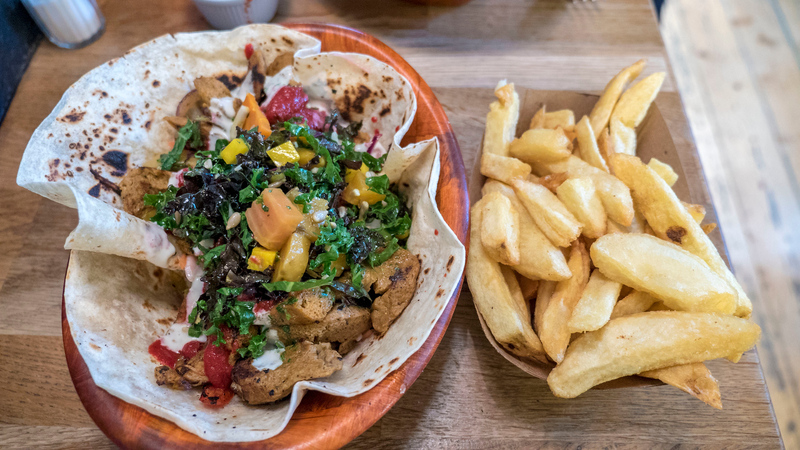 The shawarma meal has vegan kebab made from vital wheat flour, peppers, red onion, and Middle Eastern spices, served on a warm wrap with a side of chips. I’d love to return to try their falafel sometime, but the shawarma was such a great life choice. 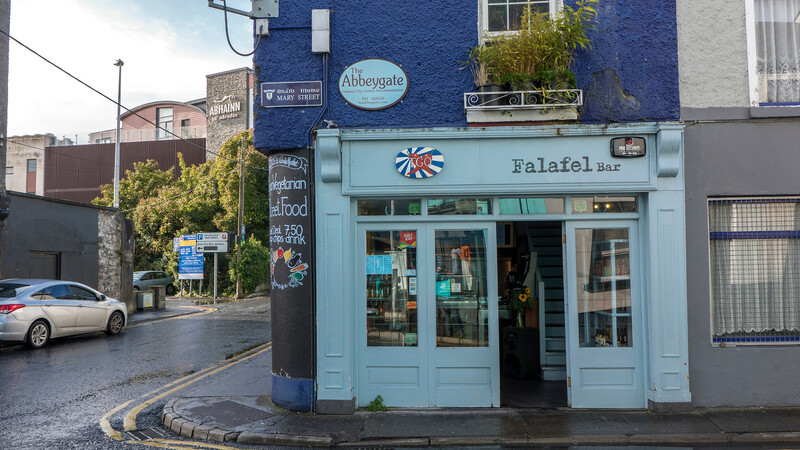 In this vegan Galway dining guide, I recommend visiting TGO Falafel House for an excellent lunch option. 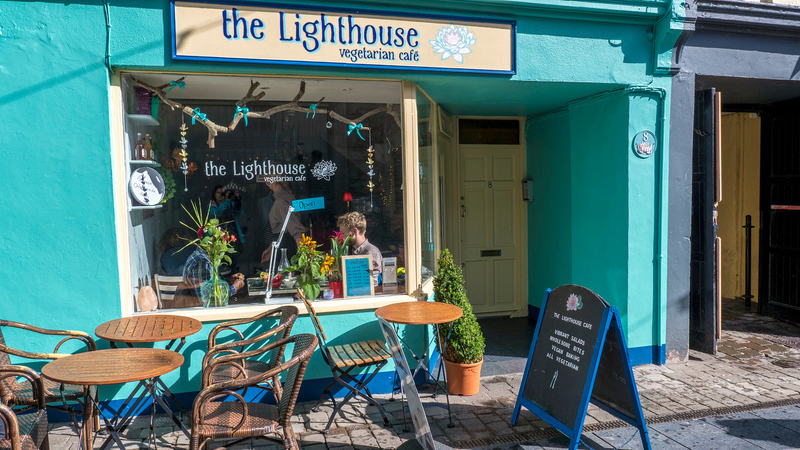 The Light House Cafe was the first place I ate in Galway for a delightful vegan dining experience. I went in the morning, and they didn’t start serving the main dishes for lunch until noon. However, they had a bunch of yummy vegan desserts and coffee all ready to go, so I started the day with cake! That doesn’t happen very often, but you know your day is going to be good when it starts with cake. And now, I present you with the mouthwatering dessert pics. You might not want to view these if you’re feeling hungry. 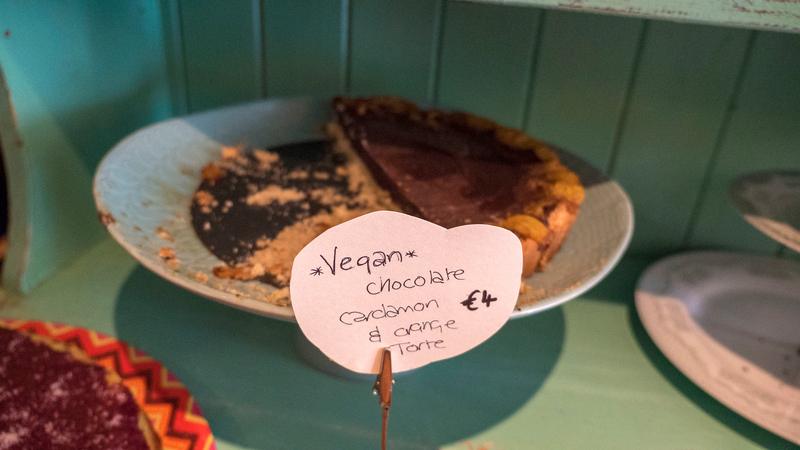 The desserts that are vegan are clearly marked as such. 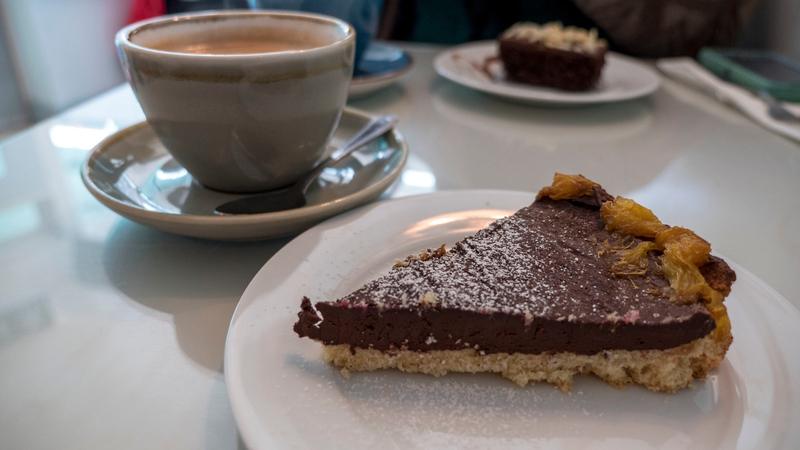 Once I savoured my cake and coffee, it was time to actually eat a meal! 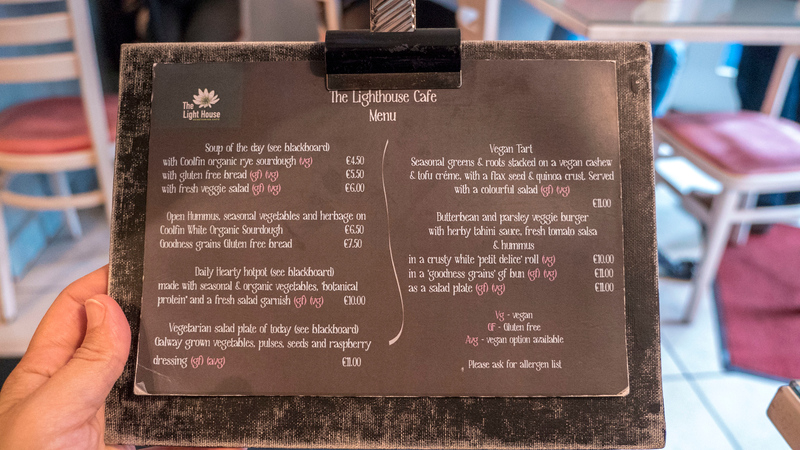 There’s a small vegetarian menu at The Light House Cafe, though many items are vegan. Also, the chalkboard has daily specials, many of which are also vegan. I decided to try the butterbean and parsley veggie burger with herby tahini sauce, fresh tomato salsa, and hummus. It was such an interesting combination of flavours that was remarkably good. It was paired with a side salad to start the day off right (well…maybe if I didn’t eat a big piece of cake first). Looking for a cup of tea? 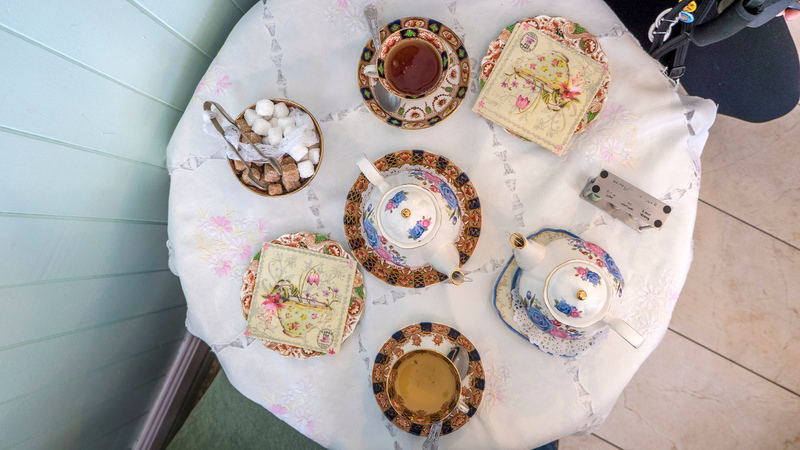 You must check out Cupan Tae for soothing tea blends in a traditional tea room. 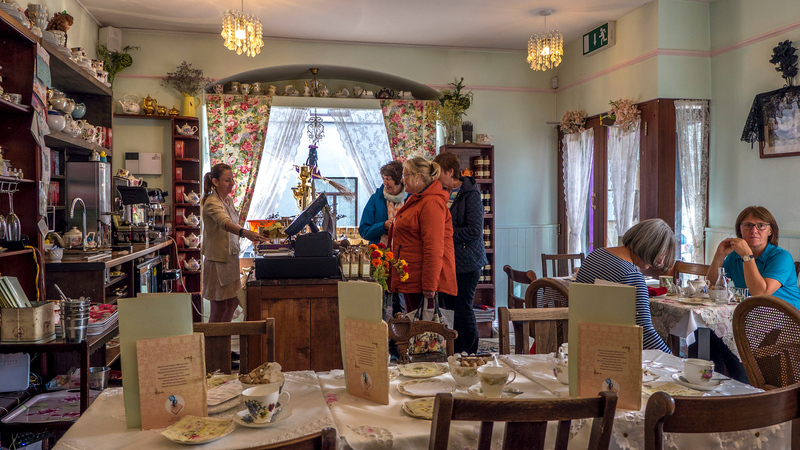 There are two locations for Cupan Tea; one is in Galway and one is in Westport. You can also order their tea online if you find one in particular that you love. While there aren’t any vegan selections for food on the menu, I highly recommend stopping by to order some tea. 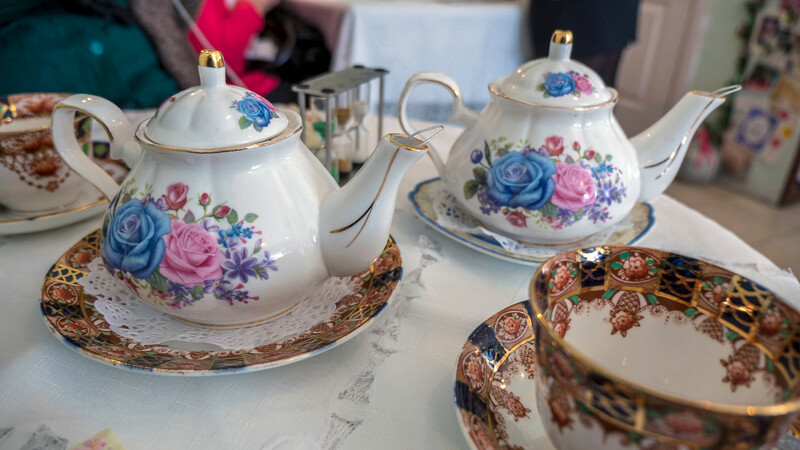 It’s served in fancy teapots and teacups, just like you’d see at your grandmother’s house. I ordered a pot of “Merlin’s Magic Elixir of Life”, mostly because it sounded cool. However, it was also a herbal blend that I really enjoy: apple bits, rosehip petals, grapes, lemon myrtle, and marigold petals. 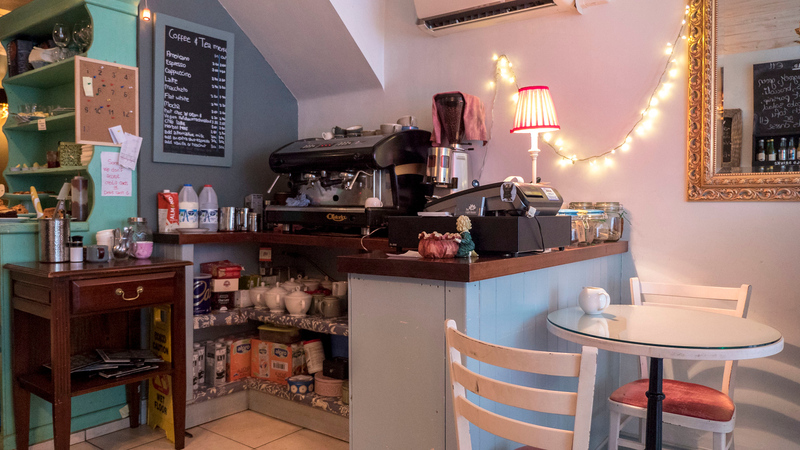 If you’re looking for a peaceful moment after exploring and walking everywhere in Galway, Cupan Tae is the perfect break. 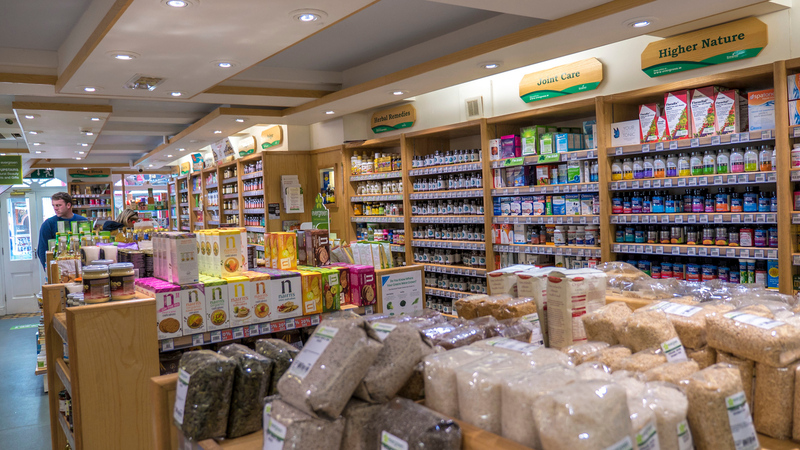 If you’re seeking vegan grocery items, snacks, or grab and go foods, check out Evergreen Healthfoods in Galway. 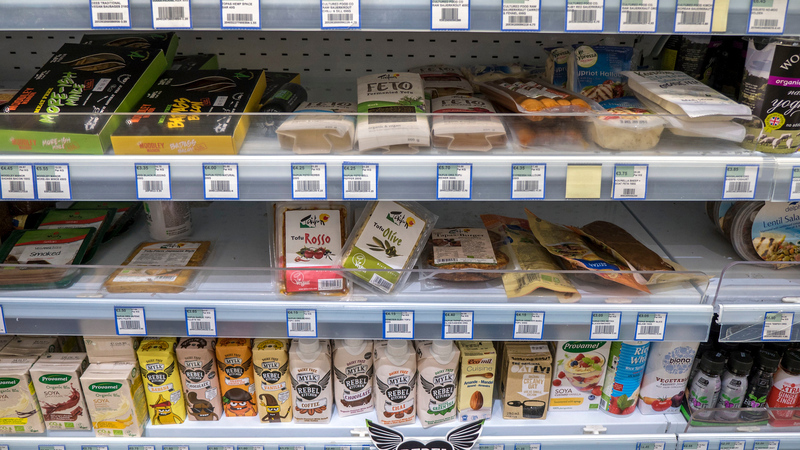 The store is stocked from floor to ceiling with lots of plant-based yummies. 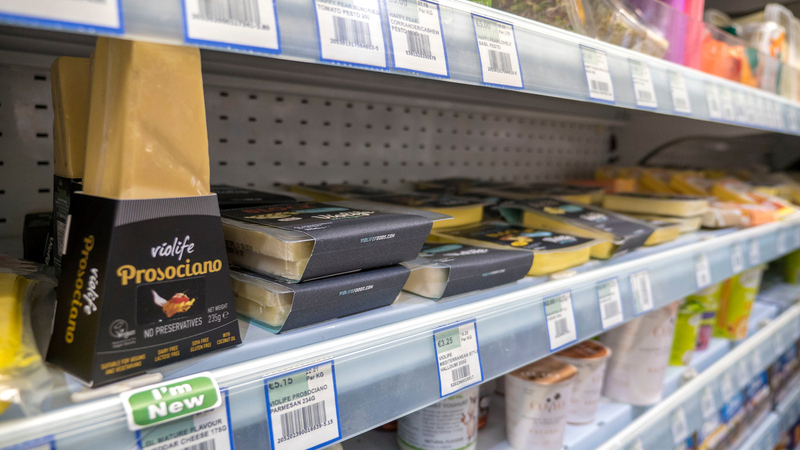 Notably, I found plant-based milk, vegan cheese, various faux meats, burgers, tofu, vegan chocolate, and so much more. They also have a great selection of incense and incense holders on the upper level, as well as other housewares and gift items. 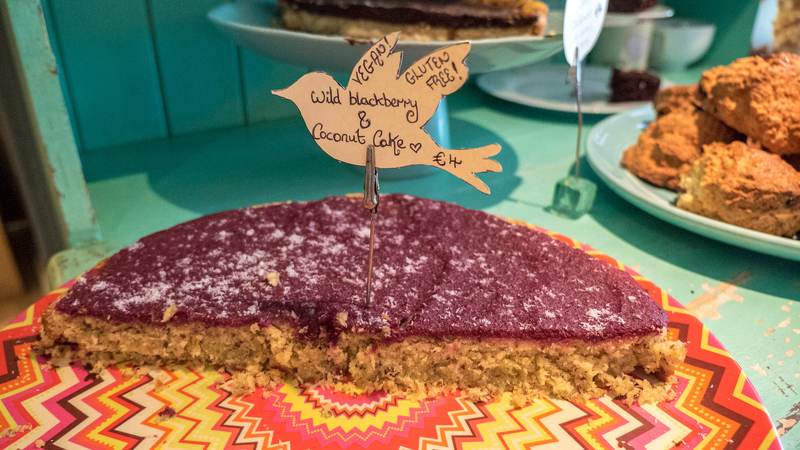 After you’ve followed this vegan Galway guide and eaten all the yummy plant-based food, you might need a place to rest your head. I highly recommend that you check out the Connacht Hotel. 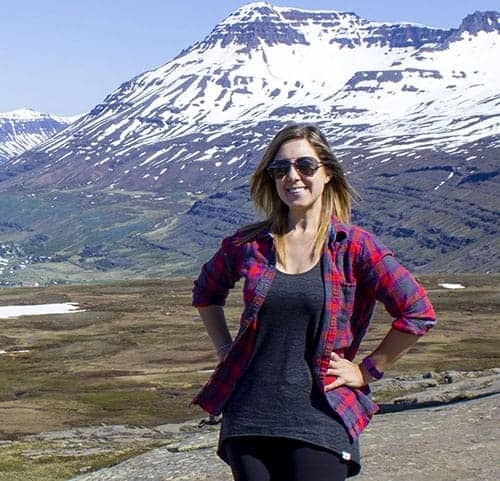 The hotel is cozy, clean, and has numerous amenities. 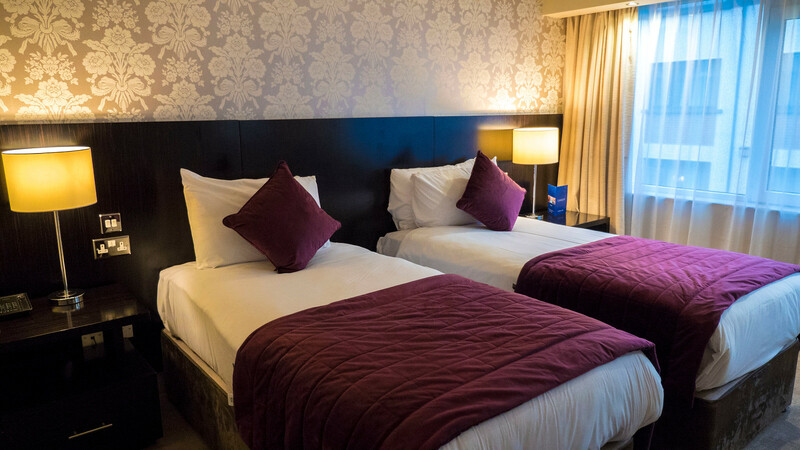 The Connacht Hotel offers a luxurious stay at an affordable price. If you’re traveling on an Ireland road trip, you’ll need somewhere to park the car. In Galway, parking can be quite expensive, so it was nice to save a little bit of money with the hotel’s free parking. 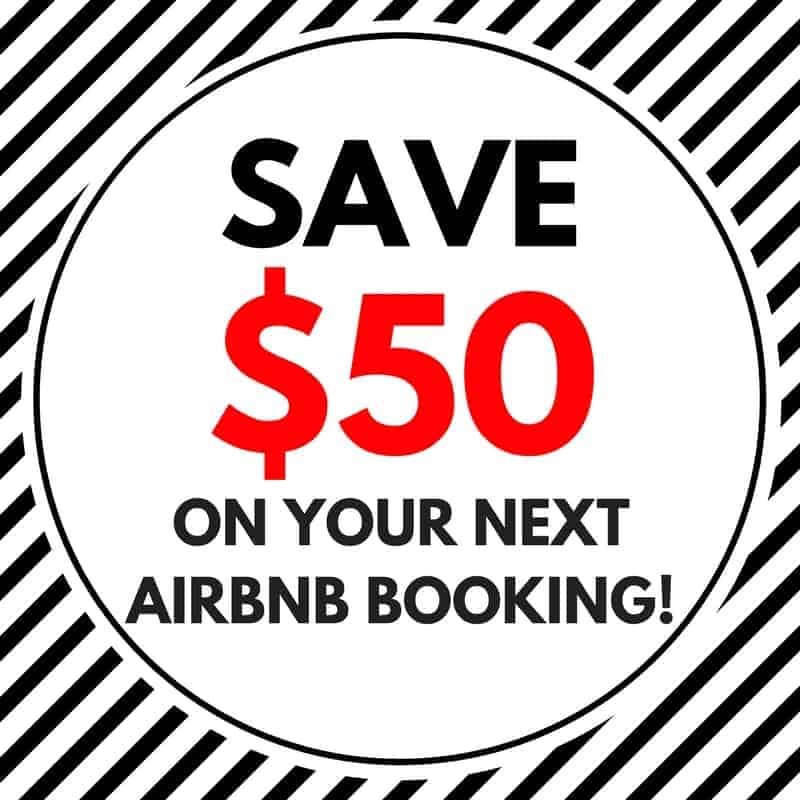 There are outdoor and indoor parking lots with tons of spaces for your vehicle. 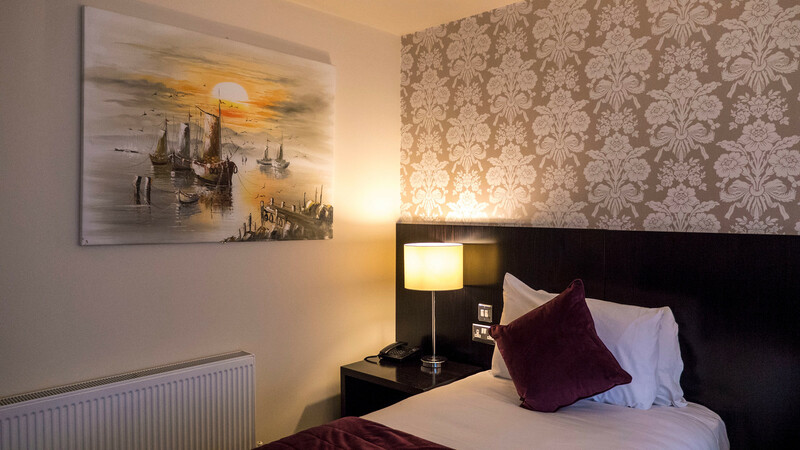 Book your stay today at the Connacht Hotel and please feel free to check out more reviews of the Connacht Hotel. 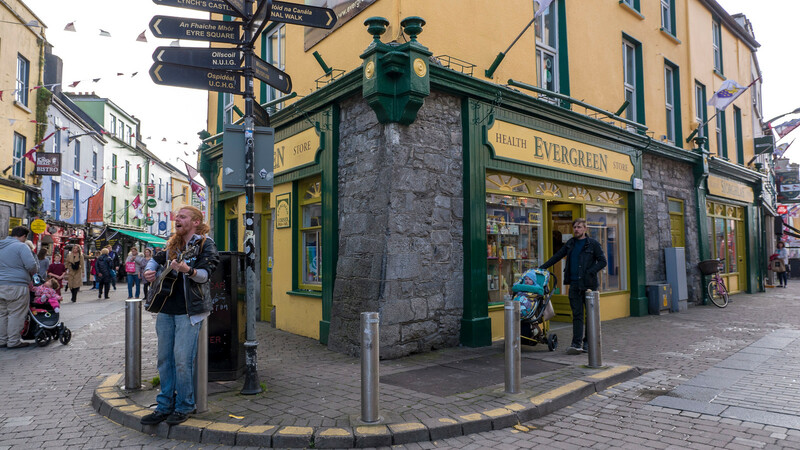 Check out the rest of my Galway travel photos over at my Galway travel photo album! 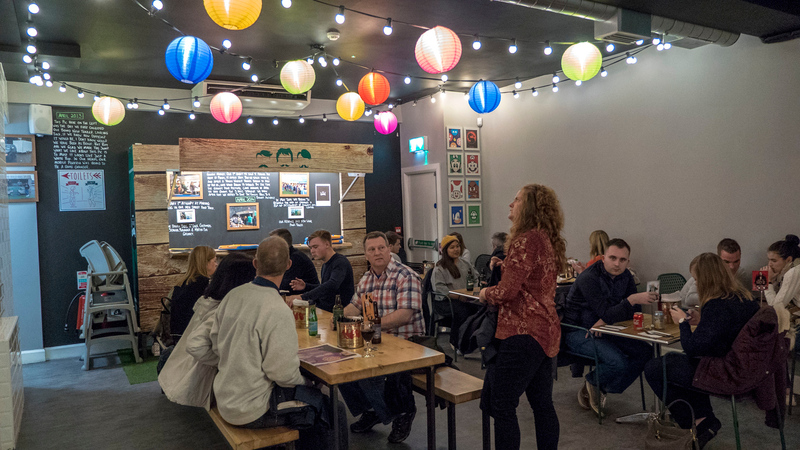 There are many more restaurants serving vegan food in Galway; this is just a starting point for an awesome foodie day. I’m sure when I return someday (I know I will – I love Galway! ), I’ll try out even more places and add them to this vegan guide. Which vegan meal or dessert would you like to try the most? Everything looks so delicious. It is hard to find vegan places to eat especially when you travel. I find it even harder when traveling abroad. I have never been to Ireland but it is definitely on my bucket list.